In 2009, the IwB held an exhibition at the Sharon Temple National Historic Site and Museum, in collaboration with the Sharon Temple Museum Society and Habitat for Humanity. The exhibition highlighted the role of the historic Sharon Temple builders and residents of the Town of Sharon, called the Children of Peace, who played a crucial role in promoting democracy, justice, and charity in Canada. To this end, the Rebuilding Hope Exhibition was an interpretation of the principles and values of the Children of Peace through the contemporary work being done by the IwB and Habitat for Humanity, which strive for sustainable community development and social justice. 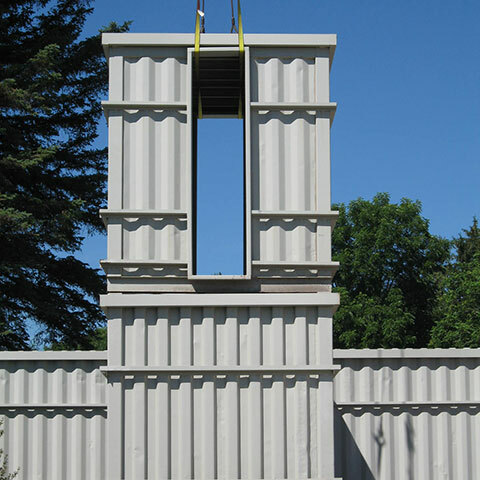 For the exhibit, the IwB constructed a customized accessory building made of shipping containers, on the Sharon Temple grounds. The exhibition also included the Rebuilding Hope Exhibition Catalogue. The themes of the exhibition were affordable housing, compassion, community and innovation as they relate to the legacy of the Children of Peace, and the current work of the IwB, Habitat for Humanity, and the Sharon Temple Museum Society. Rebuilding Hope tells the story of how successive generations in Southern Ontario have collaborated to build a society based on the principles of economic parity, social justice, and human dignity. – Daniel Nelson, Chair, Sharon Temple Museum Society, quoted from “The Children of Peace: Building Justice in Upper Canada,” Rebuilding Hope Exhibition Catalogue, 2009. The Sharon Temple National Historic Site and Museum is an important Canadian national historic site for preserving the story of the Children of Peace, a reformed Quaker and pioneer group of local farmers, who made their home in “Hope” Ontario (now Sharon, Ontario) during the nineteenth century. The Children of Peace lived by the values of peace, hope, faith, love, charity, justice, democracy. The group is attributed with greatly contributing to Canadian justice and ‘responsible democracy,’ by practicing mutual aid programs, land sharing, labour exchange, cooperative marketing, farming and economy, as well as developing the first Houses of Affliction to provide shelter and work for the poor. They were also deeply engaged in the arts, especially music. Even though the community had no formal training, they formed the first civilian band and commissioned the first organ built in Ontario. The centre of their activities took place at the “Temple,” which was constructed between 1825 and 1831. The Children of Peace identified themselves as the ‘new Israelites’ and based the Temple on biblical structures. The group was politically active until the death of their leader, David Wilson, in 1866. The last service was held in the Temple in 1889. After this time, the group slowly disintegrated and the Temple grounds became derelict with time. 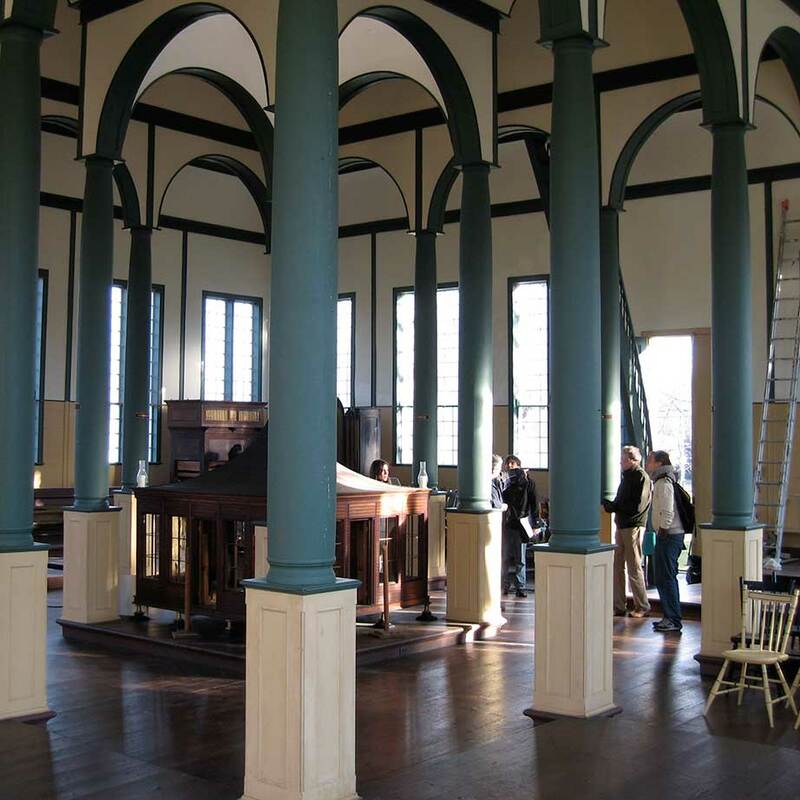 The Temple was purchased and restored by the York Pioneer and Historical Society in 1917, making it one of the earliest examples of historic preservation in Canada. The temple is now a National Historic Site and Museum as well as a National Peace Site. The site has a collection of restored buildings and displays pioneer artefacts and historic items related to the Children of Peace. The Rebuilding Hope Exhibition was based on the legacy of the Children of Hope. The idea of ‘rebuilding hope,’ entailed looking at the activities of the Children of Peace and seeing how they relate to the work of contemporary organizations, namely the IwB and Habitat for Humanity. 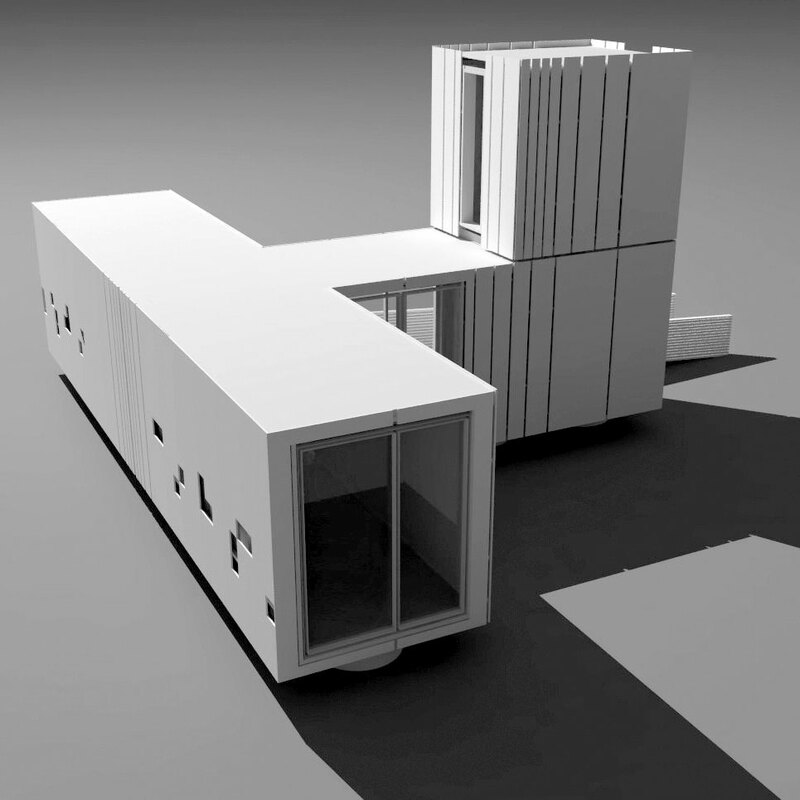 For the exhibition, the IwB constructed a customized accessory building made of shipping containers, on the Sharon Temple grounds. The design of the building worked with the principles the IwB students and faculty had developed for the Costa Rica Project, which dealt with rural renewal in the developing Guanacaste region. The exhibition was divided into three parts, each focusing on the story of one of the organizations. The IwB exhibition took place first, showcasing student work on the Costa Rica Project. The exhibition included student designs for a 60 square-metre, green, social housing prototype unit, plans for a vibrant and sustainable public village square, and a regional plan for Guanacaste linking resorts with the villages that surround them; a model of the housing prototype and video components joined the info panels that explained the work. A catalogue called Rebuilding Hope accompanied the exhibition. The Catalogue includes essays by project participants and experts as well as details of projects presented at the exhibition. On the whole the exhibition at Sharon Temple was a three part statement on how to ‘rebuild hope’ by looking at the past activities of the Children of Peace, the present contributions of Habitat for Humanity, and the future possibilities of the work of the IwB in Costa Rica. All of these organizations stressed that the capacity and energy of the community itself is crucial in making social change.